Weigh your options when making decisions about fireplaces, stoves and inserts. 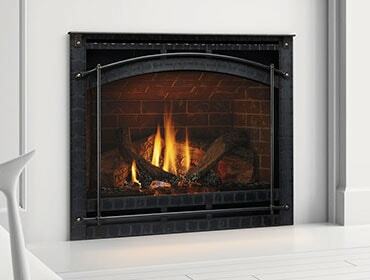 Hearth products add warmth, beauty and ambiance to a home. There are many kinds of fireplaces, stoves and fuels to choose from, so it’s important to understand your options when making decisions. In this two-part blog series, we’ll cover the basics for choosing an appropriate fireplace, stove or insert. Then make a visit to your local Heatilator dealer who will match you with the perfect hearth product for your home and lifestyle. Hearth products are available fueled by natural gas, liquid propane, wood, pellets or electricity. The fuels have varying degrees of convenience and maintenance. What you choose will depend on how much interaction you want to have with your fireplace or stove, and the types of fuels available to your home. As a general overview, listed below are the types of hearth products available today. Gas Fireplaces – Direct vent gas fireplaces are the most popular hearth system today because they are beautiful, convenient and safe. They have sealed combustion systems that protect indoor air quality. Operated by the flip of a switch or remote control, gas fireplaces offer great convenience. There’s no ash to clean up and maintenance is minimal. Wood Fireplaces – EPA-certified wood fireplaces are clean-burning and efficient. They produce minimal outside air emissions and particulates, and are a responsible choice for heating with renewable wood fuel. In contrast, masonry-built wood fireplaces are highly inefficient, but can be retrofitted with a fireplace insert. Fireplace Inserts – If you have a masonry-built wood fireplace, an insert will transform it into a beautiful heat producer in your home. You can choose from inserts that burn gas, wood or pellets. Wood Stoves – Free-standing wood stoves will produce heat for many hours burning renewable cord wood fuel. EPA-certified stoves are the most efficient and environmentally responsible choice. Pellet Stoves – Pellet stoves are similar in appearance to free-standing wood stoves and burn pellets made of condensed biomass materials like wood chips and sawdust. They are easy to use, highly efficient and environmentally responsible. Heating costs can be reduced for years to come, especially if your central heat system is fueled by propane or fuel oil. Watch for Part 2 of this blog series coming soon! We’ll talk about performance and installation of fireplaces, stoves and inserts. Meanwhile, you can check out all the hearth products available here.